Lipgloss & Lashes: Lancôme Absolu Voyage Expert Makeup Palette | Review & Giveaway! 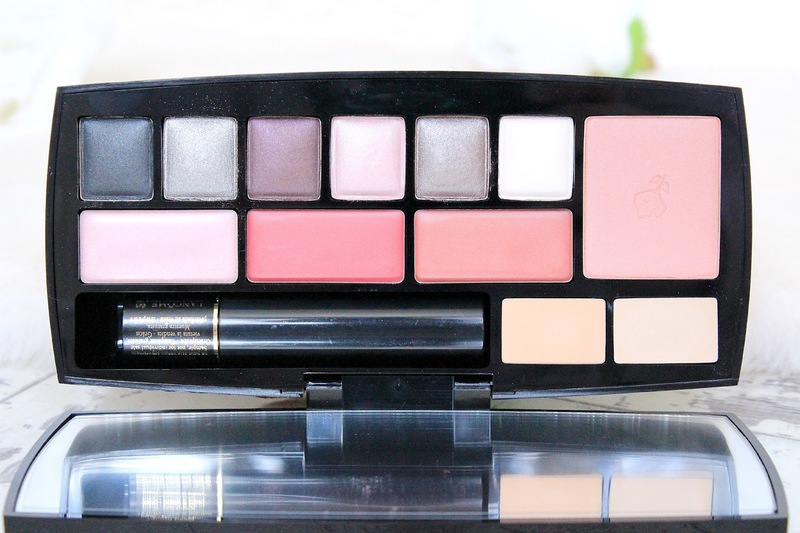 Lancôme Absolu Voyage Expert Makeup Palette | Review & Giveaway! Hello Beauties! I've said it before and I'll say it again, I am palette obsessed. I'm not sure what it is about them that draws me in, but I really can't help myself where palettes are concerned, and the one I have to show you today is particularly beautiful. 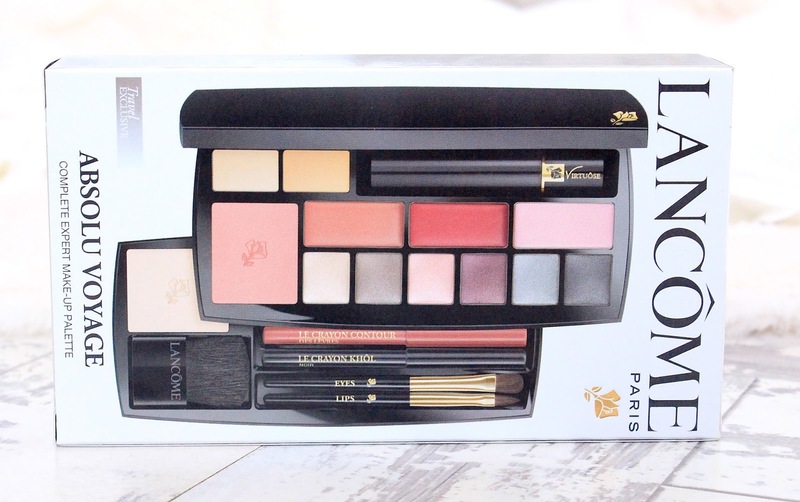 The Lancôme Absolu Voyage Complete Expert Make-Up Palette is a Duty Free Exclusive, however if like me, you're not jetting off anywhere anytime soon, you can also get this palette direct from Mizspa. The palette contains pretty much everything you'd need to do a full face of make up, apart from foundation, making it perfect for travel, and I'm sure I'll be getting a lot of use out of this palette over the next month as I will be doing a lot of travelling for graduate job interviews - who knows, maybe this palette will actually see me packing light for once?! Firstly, I'll talk about the packaging, as I'm a bit of a packaging nerd. The palette comes encased in a black velvet sleeve which I think is a really nice touch. I've always been a little envious of my Mum's Dior palettes and their little velvet sleeves (sad, I know! ), as I think they make the product feel a lot more 'high end'. The actual palette is surprisingly small considering how much is crammed inside, which again, makes it perfect for travelling. It is quite a chunky palette though, as it has two layers stacked on top of each other. The packaging is plain, being shiny black plastic with the little Lancôme flower in the corner of the palette. I really like how it isn't covered in branding as again, I feel it gives the palette a more high end look. Anyway, on to the contents. The first thing I noticed about the palette was the eyeshadows. 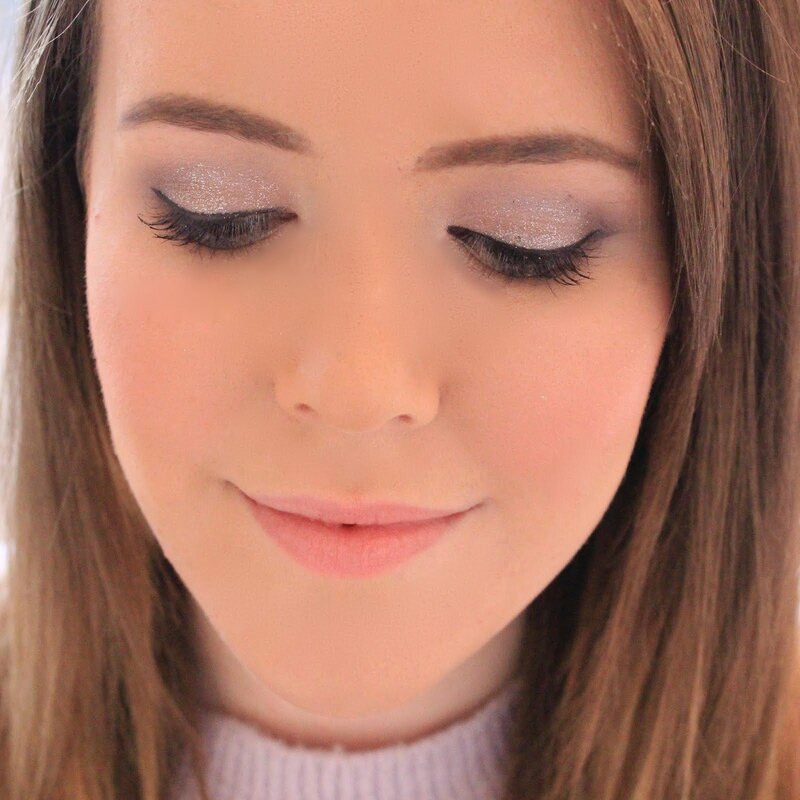 The palette comes with six eyeshadows which are all shimmers apart from one white shadow which I think would act as a gorgeous highlighting shade. There's a gorgeous shimmery brown shade next to the white which I think is so unique as it has an almost purple tone to it. The palette also contains a gorgeous light pink shade, perfect for sweeping across the lid, and a darker purple toned brown shadow which comes out as a semi-matte shade. Another unique shade that the palette contains is silvery grey shade with hints of lilac and blue, paired with a darker blue shade, although I found the darkest shade to be slightly chalky which you can probably see in the swatches below. Also on the top tier, the palette contains two 'solid lip colours' in a gorgeous peachy pink and rosy pink shade, along side a gorgeous light pink gloss with little iridescent sparkles running though it. Next to the lip colours is the most stunning blush for Spring/Summer. The blusher comes in the shade 'Rose Sable' which is a gorgeous pinky peach shade which I think will look lovely on fair skin tones, in fact I love it so much I'm tempted to buy the full size. Above the blusher there are also two concealer shades, a lighter shade perfect for highlighting any areas and concealing dark circles, and also a darker shade for covering up any blemishes or redness. The top layer of the palette also contains a deluxe sample size of the Virtrôuse mascara which I'm excited to try. Lancôme do some of my favourite mascaras so I'm keen to see how this one compares. In the bottom layer the palette contains a translucent powder and a sponge to apply the powder, a mini blush brush, a lip brush, and eyeshadow brush. The bottom layer also contains a lip pencil in a gorgeous rosy pink shade and an eyeliner in black to complete the look. Overall, I love this palette. The shades are all gorgeous and very 'me'. I've never actually tried any Lancôme makeup before, apart from their mascaras, but trying out this palette has definitely convinced me to give the brand a go. All of the products included are extremely high quality and are really a pleasure to apply, and it's also handy having everything in one palette. If you're interested in taking a look at the palette for yourself, it is currently available from Mizspa for $63 (roughly £42), which I don't think is a terrible price considering everything you get inside the palette. Also, the lovely people at Mizspa have also given me one of these palettes to give away to one lovely reader! If you'd like the chance to win this palette for yourself (and really, why wouldn't you?) then all you have to do is complete the form below and I will be announcing the winner on Twitter! I am palette obsessed myself, so I understand all too well! This one looks really pretty. I love the soft shades. This looks gorgeous and such a pretty palette Becky. Where is the entry form? I hope this counts as an entry. My email address is lindaesutton61@gmail.com. Hi Linda, the entry form is at the bottom of the post :) There is a rafflecopter form which asks you to log in either using your email or your Facebook account, which will then let you enter the competition. Beautiful giveaway, Becky, thanks for the chance ! The colours are so pretty, i love it!